This holiday season, Toptal is joining with Puzl Coworking for a UXmas celebration. It’s an opportunity to meet your colleagues, build stronger bonds among Sofia’s top UX talent, and of course have some fun. 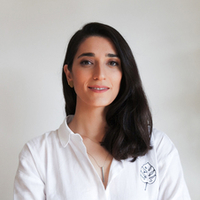 Merve Postalcıoğlu, a Toptal UX expert, will be on site. Feel free to introduce yourself, ask any questions you may have about Toptal work, or bring a friend who may be interested in learning more.